Travel dating is the latest trend that is attracting people across the world. So, if out of many dating business ideas you are considering starting a travel dating business, then it is a good idea to target people from all ethnicities, countries and different age groups. Unlike traditional dating business, travel dating needs to be more flexible. It should provide searches and matches based on the location of the individual. Out of all dating business ideas travel dating makes it easier for solo travelers to find a match and travel with them during their trip. Travel dating business platforms are popular among people who are traveling to some new place and want to enjoy the place truly for what it is. With the help of travelling dating app or website, they can simply find a travel buddy with whom they can hang out and who can show them all the great tourist spots and assist them discover the place closely. So, keeping in view such considerations you can learn about the given below points to design and develop an ideal dating travelling business portal. How to consider your target market? 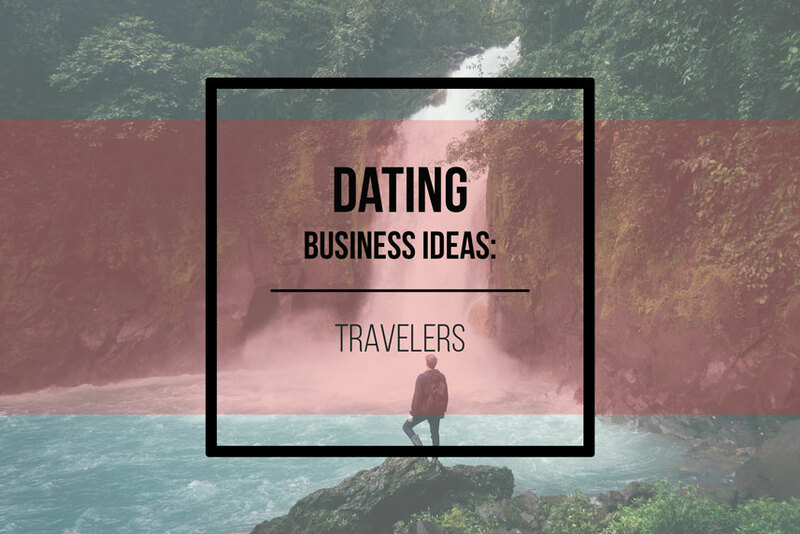 Since out of all dating business ideas you have decided to launch a dating service for travelers, it gets important that you define your target market. Unlike traditional dating website, travel dating facility may not witness traffic from people of all age group. Therefore, it gets vital that you target people of a particular age group who are more likely to travel on regular basis. People falling in the age group of 20 to 35 years could be your likely clients. Therefore, you should develop your dating business based on their taste and preferences. Profiles of men and women should be listed belonging to that particular age. People will find it easier to match each other’s passion for travelling and the idea of dating while travelling. Why go for local area searches? Individuals, who travel on regular basis and look for dating opportunities while on the move, may want to connect with people of city or country where they are going to visit. So, considering this fact in mind, it is important to develop a dating website which finds and gives suitable match options in places where a person is going to take a trip. This would not only help your dating business expand its reach. It can also make your travel dating business more popular among people. Why should you focus more on promoting a safe dating experience? All dating business ideas should be safe and this particular idea is not an exception. The dating website should encourage safe travel for members. It should make a point to list some helpful tips for people wishing to meet new people from the website. The users should be given the access to use the dating service only if they are 18 years or more in age. Additionally, the listed profiles should be verified with the help of registered mobile number and real pictures of the person. Also, the website should offer membership for a limited period of time. Besides, it has to be renewed from time to time particularly one, three or six months. What are the benefits of developing an interest based travel dating business? When at the time of planning a travel dating business, it is important that you take into consideration the interests of travelers for matchmaking. This can include specific travel goals of the person, hobbies, places of interest and travel fantasies. Including all these elements within your dating website design can certainly help travelers find suitable and like-minded matches. So, creating a personalized and useful experience, one that assists travelers find adventurous and open-minded people can be a good dating business idea. Why should you consider the personalized matchmaking suggestions? Another quite vital thing that can make all dating business ideas successful is implementing personalized suggestions. An app or a website can provide suggestions to travelers based on their interest and travel objectives. Depending on this, certain profiles can be presented to the individuals that are most likely to connect with him/her on their trip to a particular destination or tourist place. In this way, the person can find a compatible match. You can help people to find someone who is interested in discovering the place with them. This is how you can help them make their trip an exciting and memorable experience! There are many great online dating business ideas. However, they all are different and they all require some distinct features. Online dating business for travelers is not an exception. Make sure you know your customers and their interests. This is the best thing that can help you to grow your business. And if you are not sure about this particular niche, check our dating business ideas for seniors and single parents! How has the internet changed online dating?